Buon Natale a tutti – and see you in 2011! For some businesses, December is one of the slowest months work wise. This December for Rainy London has been non-stop work galore: indeed, clients suddenly and frantically realise it’s Xmas time and those projects that were neglected at the bottom of a drawer, and not even *so urgent* a week ago are now ‘*due yesterday*, if possible‘ (because politeness always comes first). Given a busy December – and I should add, a very cold and snowy one! – possibly January will be sluggish and relaxed. In Italy, as in other Mediterranean countries, the general rule for most businesses is to shut down for a period which varies between 1 week to 10 days. This year, a few of my clients will be off from Friday 24th, Christmas Eve, right until the 7th, where possible. This is because the 6th is a major Bank Holiday in Italy: l’Epifania (or in the colloquial name, la Befana). I also owe everybody an apology: I was meant to post a sequel to the Medical Course entry I did earlier this month but these weeks have been mental and I promise you will be enjoying it by January. Hence, my absence from the blog. Sorry about this. In the meantime, I hope you are all getting festive and merry – and have the Xmas pressies’ list all sorted. 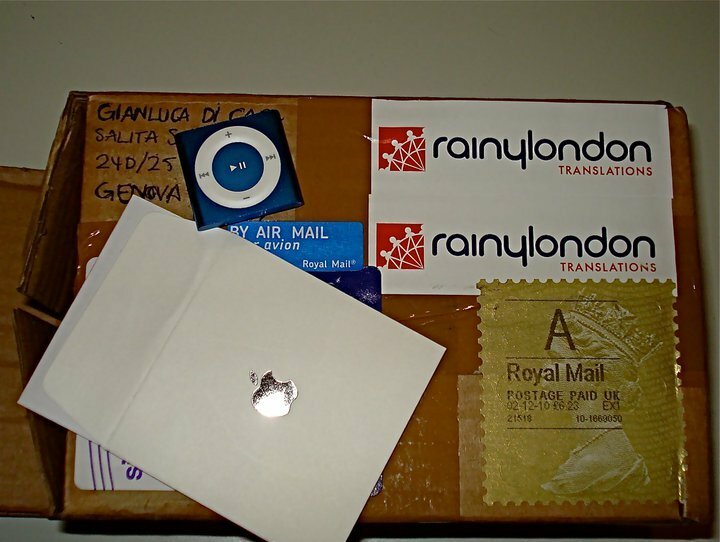 One of the presents I have given so far was a customised iPod – engraved with a ‘Rainy London ❤ you‘ message – for one of my trusted suppliers, Gianluca. BTW: thank you Gian for all your hard work! And as branding is important – especially from small businesses – this year too I opted for Rainy London customised Xmas cards – following an all-British tradition. They feature another genius design by Cocorino‘s Fabio. The cards – printed by skilled printers at Ripe Digital – are not here yet but courtesy of Fabio, here is a sneak peek. For the curious among you, here is a photo set with last year’s cards. Enjoy! Till next time, folks. And Merry Christmas! You know I like to alternate fun and work in this space. Hence, this post. 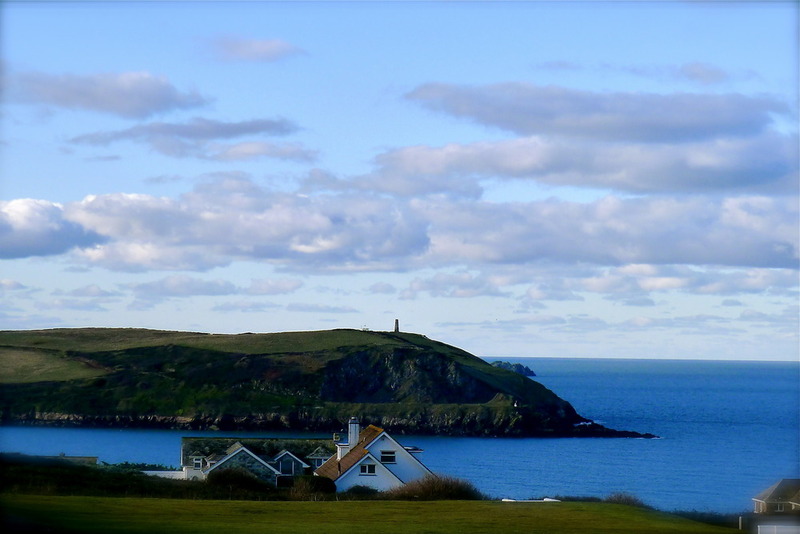 I just wanted to share with you an image of one of my favourite places, Cornwall. This is Trebetherick, just a mile (or so) from Polzeath. And don’t think I have forgotten… the second part of Medical Translation Course is coming up!